The Hotel Tamarindo Diriá and golf resort is the ideal place to spend a peaceful yet exciting vacation on the Pacific Coast of Costa Rica.The resort sets its self apart from all others as the only hotel located on the white sand of the world famous Tamarindo Beach. Hotel Tamarindo Diriá honors the Chorotegan Indian leader, Cacique Diriá, for whom it is named. The elegance and size of the establishment makes it a leader in its field, and the quality of attention is a step above the rest. 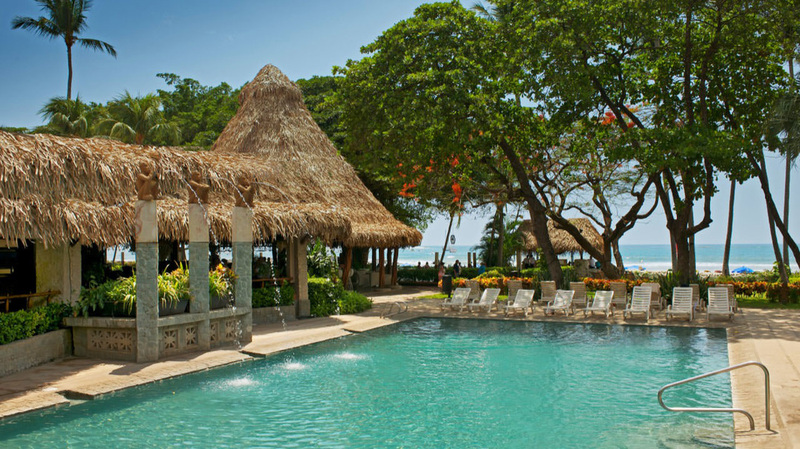 With 30 years of hospitality experience, Tamarindo Diria Beach & Golf Resort is a mixture of tradition and contemporary style and architecture surrounded by exotic and beautifully maintained lush tropical gardens that offer to the guests the natural beauty of Costa Rica right outside their rooms. Most of the rooms offer incredible ocean views, providing picturesque sunsets, and access to Tamarindo Beach just a few steps from your door. 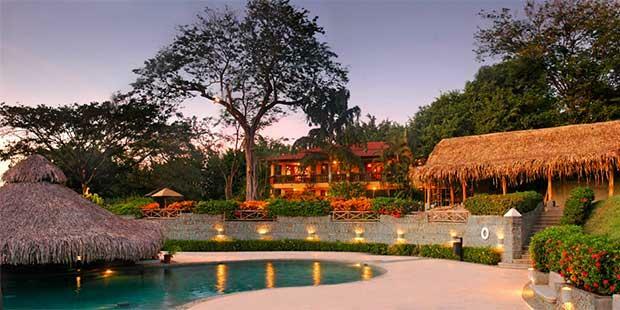 From the minute you pass through the Tamarindo Diria Beach & Golf Resort, we want you to have a wonderful vacation. Relax to sounds of the ocean on the beach or by the pool or listen to nature from your room as you wind down to our slower pace.Plants throughout the building and grounds make this a very special place; in the extensive green of the tropical gardens, you can enjoy the company of tropical birds. Experience fine national or international cuisine from their chefs at the “Matapalo” hotel’s restaurant, and the most exotic cocktails from any one of the bars or try the varied dessert selection with a cup of coffee from the Cafeteria.